Successfully Added NO.1 D3 Smart Watch Phone - 1.44 Inch Touchscreen, MTK6261, GSM, Heart Rate Monitor, Pedometer, Sleep Monitor (Black) to your Shopping Cart. 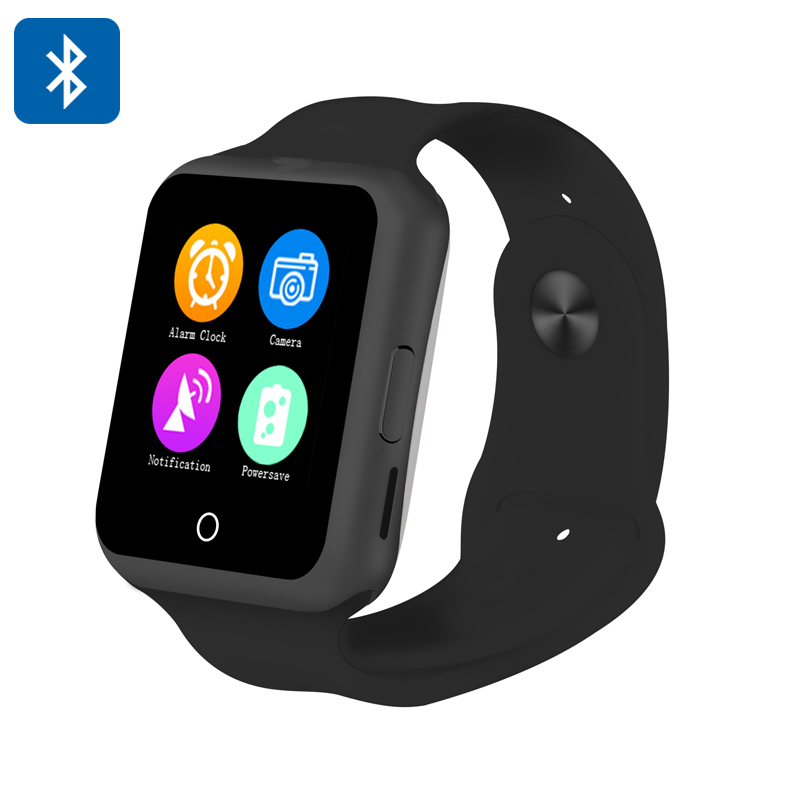 With the smart watch becoming one of the most popular gadgets of the year, as well as one of trendiest fashion accessories, you now have a chance to get one that is both fashionable and functional – and at a bargain. The NO.1 D3 is a watch and a phone in one. So, you will not only be able to sync it with your smartphone for a load of cool features, but also make calls right from your wrist. Coming with a SIM card slot, the small watch will let you make and receive calls - and give you an alternative communication option to your smartphone. The NO.1 D3 comes with its own built-in heart rate monitor (no smartphone syncing required) – a great way to track how your body responds to workouts on the go. It does this by comparing your own reading to a built in average and then offers an approximate reading on the screen. You will also be able to make full use of the watch’s Pedometer, Sleep Monitor and Sedentary Reminder. A great companion for any sports activity, the smart watch will make sure you are getting enough exercise, enough sleep and not overdoing it at the office. The smart watch can also be your remote camera trigger (Android) and features an anti-loss function. The smart watch phone comes with a nice modern design, featuring a thin frame, yet a sturdy scratch-resistant body. With a comfortable rubber strap, the watch will securely sit on your wrist even through an energetic workout. Thanks to the ergonomic design and interactive user-friendly interface, the NO.1 D3 can add a great deal of convenience to your everyday life, while doubling as a stylish fashion accessory. The NO.1 D3 Smart Watch Phone comes with a 12 months warranty. Brought to you by the leader in electronic. This is an excelent product. Optimal functionality and processing speed. The baterry can offer long time to use.